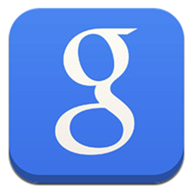 Google Now For iPhone And iPad Released As Update To Official Search App, Download Now! It’s one of the reasons that Google’s Android is often preferred over Apple’s iOS, but Google Now is no longer an Android-only affair, with the personal assistant now available for the competition’s iPhone and iPad devices. As part of the Google Search for iOS app update that just landed on the App Store, Google Now is finally something that those with iPhones and iPads can take advantage of. Perhaps just as importantly, one of the biggest reasons to choose Android over iOS just evaporated. For those who have been living under a rock for the last twelve months, Google Now was once dubbed as Google’s answer to Siri, but over time it has become clear that it’s actually rather different. Whilst Siri prides itself on going out and finding the answers to questions on demand, Google Now instead aims to predict what information you will require and then provide it at the relevant times. With Siri, users could ask for directions to work, for example. Google Now works a little differently, and by learning when you commute to your place of work, will begin offering a map of the journey as well as expected travel times as and when it is deemed relevant. The same happens with weather forecasts and other similar situations. Google’s decision to make Google Now part of an existing Search app rather than launch it as a separate entity is an interesting one, and may suggest that it was dubious as to whether Apple would let it through the App Store review process if it was a brand new app. Or perhaps Google would simply prefer to keep its data driven services all under one roof. Either way, we’re not sure we as users are affected either positively no negatively by the decision. Spending a while with the app, and having used Google Now on plenty of Android devices in the past, we have to say that the iOS version does not seem to be any different, at least not in a negative way. Everything appears to be where it should be, though we’ll obviously have to do more testing in order to be 100% sure. The vast majority of the cards available on Android have made the leap to the iOS version of Now, though the lack of push notifications is a shame. All the settings are there, at least, and the iOS app has access to all the required radios in order to function how you would expect. It’s great to finally see Google Now on iOS, but we doubt Android users will feel quite the same way!